The notion was certainly put to bed last week—but not by Murdoch. 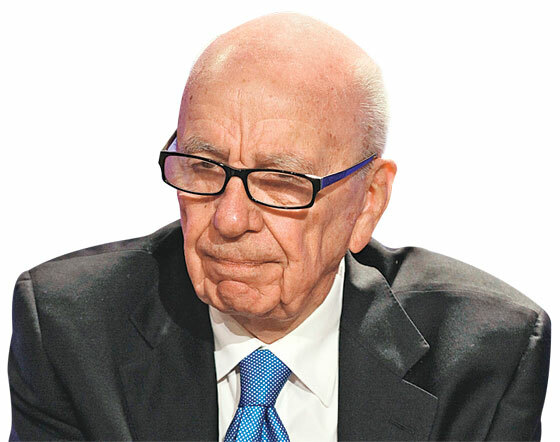 The parliamentary committee investigating News Corp. issued a blistering report that declared that Murdoch was “not a fit person” to own a global media company. It was a devastating finding, if unoriginal—anyone who’s been a target of “Page Six” has surely thought the same thing. This argument is based partly on the fact that Murdoch’s British newspaper holdings have long been more about influence than profits—and also by the assumption that the cable businesses aren’t at risk. But that assumption may not be valid. “It really puts BSkyB in play,” says a longtime Murdoch consigliere with deep knowledge of his businesses, referring to the largest British satellite broadcaster, of which News Corp. owns about 40 percent. With the parliamentary committee’s ruling as political cover, ­Ofcom, the British television regulator, could force News Corp. to sell its minority share. BSkyB generated $1.7 billion in profit for News Corp. last year, and if the company had to get out of the TV industry in Britain, the rationale for being in Britain at all suddenly would collapse. “If they were forced to sell BSkyB, those newspapers would be gone the next day,” the company insider says. “They no longer provide any value to the company. To me, this could get so bad that they could say, ‘To hell with the U.K. Let’s get out of the U.K. entirely.’” But the most damaging consequence is to Murdoch’s family legacy. There’s almost universal agreement that James has blown his chances to take over the company. “Rupert doesn’t talk to James,” is how an intimate puts it. And the distance that Elisabeth Murdoch has kept as the scandal unfolded, even refusing a seat on News Corp.’s board last year, has kept her image clean—but not made it any more likely that she will be brought in to clean things up. And Rupert doesn’t speak with her husband, the PR executive Matthew Freud, after Freud was quoted bad-mouthing Fox News chief Roger Ailes. Which is why in recent months, Rupert has been lobbying Lachlan Murdoch to take a significant role in the company. He’s offered him various positions, from running News Corp.’s Australian arm to taking a job in the United States. Lachlan has refused the offers, telling people that he’s happy to stay in his ancestral Australia running his own businesses. Having experienced News Corp.’s brutal corporate politics, he wants to be his own man. “You could fire everyone in New York, and I don’t think Lachlan is coming back,” a person familiar with his thinking says. Leaving Rupert Murdoch, at age 81, as alone as he’s ever been. Very Expensive-Looking Tom Ford Sunglasses Are Half Off at the Outnet Right Now Just in time for sunshine. Everything You Need to Know About Trump’s First U.K. State Visit MPs are cranky, the people are planning protests, and Trump might finally get that carriage ride he so desperately wants. Pro-Trump Sinclair Broadcast Group Poised for National Expansion by 2020 The conservative local news giant is hiring national news anchors and bidding on regional sports stations. That could be bad news for Democrats. Biden’s Shock-and-Awe Strategy for 2020 Race Smells Like Jeb’s in 2016 Jeb Bush offers an eternal cautionary tale for early front-runners with ideological baggage. Ask Chris Black: What Birkenstocks Should I Get? Plus: the best ways to listen to music at home. Samsung Delays Galaxy Fold Launch After Review Units Break The bendable screen is folding, temporarily.